Why does my office, workplace or Property need an Electrical Installation Condition Report? It is recommended by the Institute of Electricians that any electrical wiring or installations be inspected and tested at least once every 5 years by a qualified electrician to comply with Health and Safety Regulations (1974), Electricity at Work Regulations (1989) and Provision and the Use of Work Equipment Regulations (1998). Wiring deteriorates over time and an Electrical Installation Condition Report will identify any faults so they can be rectified so no harm can come to colleagues, customers or the general public. The aim of the Electrical Installation Condition Report is to review all electrical fixed wire installation in its environment and make sure that there is no risk of injury. We don’t go looking for problems like others, but simply complete the report to highlight to you any risks. We can carry out electrical certificates (electrical installation condition reports), diagnostics and fault finding on electrical systems. Our engineers are fully trained and comply with all current requirements and regulations ensuring that your work is done to optimum standards. 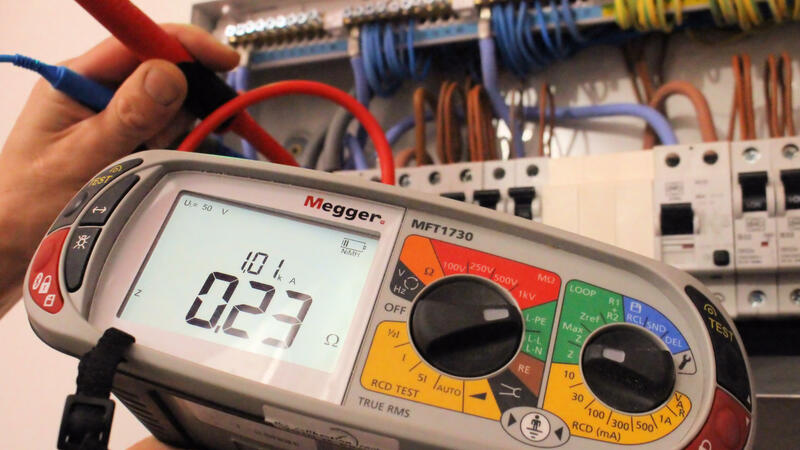 Our electricians use the latest testing equipment to trace faults which enables them to diagnose and repair faults quickly. Once our engineer has carried out the inspection they will provide you with a report detailing any faults and recommendations for remedial works. Note: Electrical Testing of an existing installation formally known as an Periodic Inspection Report (PIR) has now been changed to Electrical Installation Condition Report (EICR) due to the new 17th Edition BS 7671: 2008 Incorporating Amendment No.1: 2011. All certificates issued are accepted by all local councils, housing associations, estate agents, and insurance companies. additional circuits are charged at £20 per circuit. Emergency Lighting Certificate: Contact us.